"The future is yours”, the fourth installment of our English through social theatre summer camp saw us working together with the participants to create a performance exploring the effects of global warming and the greed and sense of competition which lies at the root of climate change. - 1-2 acres of Rainforest are cleared every second. - 20 football stadiums of trees are cut down every minute. - Even without fossil fuels, we will exceed our 565 rigatonis CO2e limit by 2030, all from raising animals. - 2,500 gallons of water are needed to produce 1 pound of beef. Using their independent research as the starting point, the students began to write their own scenes in which they communicated their discoveries to their audience. The scenes were devised, developed and rehearsed over the two weeks. What resulted was a piece of activist theatre created by a group of young students (11 - 18 years old) who are concerned about their future. The performance aimed to educate the audience about the choices they make and to warn them about what will happen if we carry on destroying the planet, if we carry on believing that we, human-animals, own and master nature. This year's camp ended with the confirmation that a few more young activists will be joining the global fight against corporate greed and consumerist passivity. They will not stand by and watch the world make the choice of profit over people. 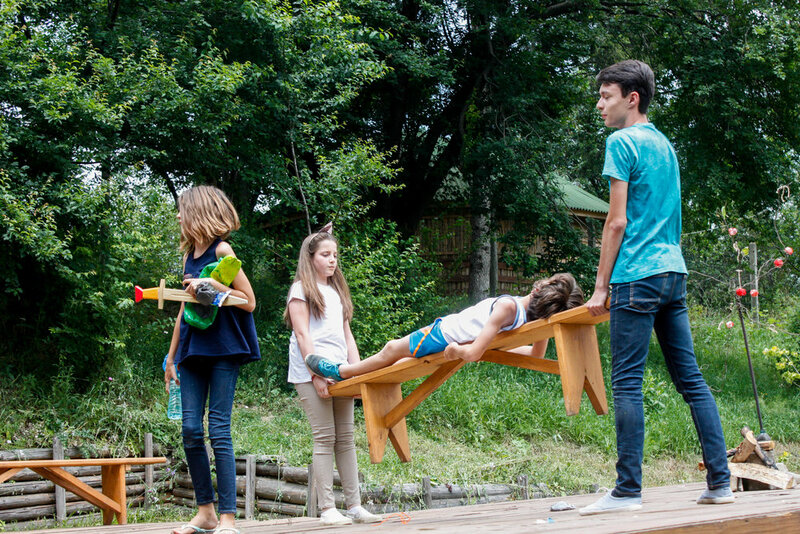 This was summer camp was a collaboration with Mara Study Turism and sculptor Bianca Mann.